Sometimes, your teeth need more than the conventional checkup, cleaning or occasional filling. As a result of issues relating to your heredity, an accident, overall health, or any other reason, you may need to consult a dental specialist. We all know of general dentists who are responsible for regular cleanups and other forms of preventive oral care, but specialists are practitioners who have received additional, specialized training after graduating from dental school. It is similar to a general doctor who gets additional training to become a surgeon or a radiologist. 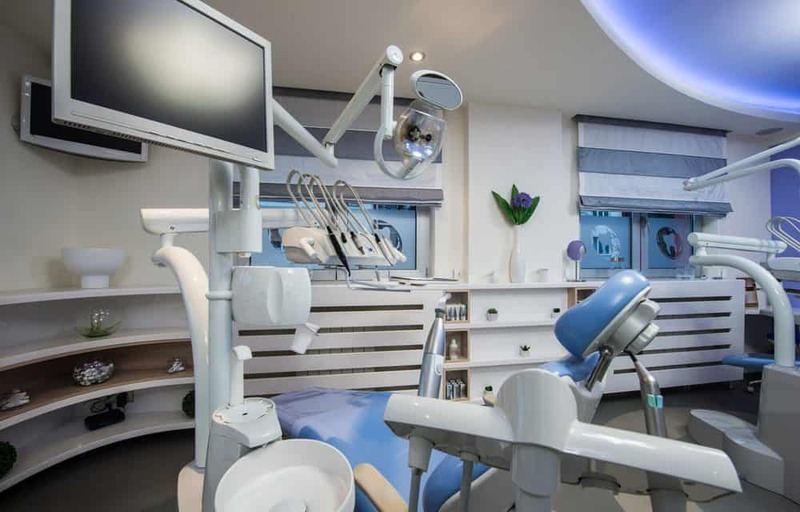 There are various types of dental specialisations and it’s important to learn the basics about them so that you know who to consult the next time you have a dental issue. Ideally known as root canal therapy, endodontics is a field in dentistry that deals with removing infection inside a tooth. Inside your teeth are small cavern-like passages known as canals that contain blood vessels, nerves and pulp (a sensitive living tissue). Specialists in this field are known as endodontists and specialize in diagnosing and treating issues within the tooth. So, if your pulp becomes infected, for instance, you may need a root canal. This dentistry speciality is all about correcting the teeth and jaws that are not in the correct position. If you are experiencing overbites, underbites or crossbites due to a jaw that’s misaligned, then you may need to see an orthodontist, ideally known as an alignment specialist. If your teeth are misaligned or crooked, this is the practitioner to consult as well. In these cases, the alignment specialist may use clear aligners, braces, headgear or palatal expanders as part of your treatment plan. When seeking orthodontic treatment, either for yourself or your child, try to ascertain whether or not you require a referral from your general dentist. This can save you time and also money depending on your health insurance plan. This is a field that focuses on treating issues related to the soft and hard tissues of the mouth, jaw and face. However, you do not require an oral surgeon for every kind of oral surgery. The specialists in this domain specialise in treatments that call for deep sedation levels or complex procedures. As a matter of fact, apart from anesthesiologists, oral surgeons are the only ones who can administer all levels of sedation i.e beyond laughing gas (nitrous oxide). The procedures performed in this field include corrective jaw surgery, tooth extractions and cleft palate surgery. This is a field that focuses on prevention, diagnosis and also the treatment of diseases that affect gums and the other structures that support teeth. You can think of periodontists as the gum diseases experts in dentistry. These specialists recognise and treat gingivitis, perform minor surgery to resolve periodontitis and restore the appearance of your smile. If you are diagnosed with gum disease, then your dentist will refer you to a periodontist. This is a branch in dentistry that takes the procedures and techniques of general dentistry in providing comprehensive, preventive care and oral treatment to children (usually from birth through adolescence). The specialists in this field are known as pediatric dentists and are to children’s dental health what pediatricians are to children’s overall health. They help your child to stay on a path to a healthy smile. Pediatric dentists provide regular checkups and cleaning, fillings for cavities, habit counselling, and the diagnosis of dental conditions that are related to other conditions such as childhood diabetes. These specialists monitor your child’s smile development and recommend specialist care when necessary. This is a speciality in dentistry that focuses on the restoration and replacement of damaged or lost teeth. Practitioners in this domain are known as prosthodontists and have a distinct comprehension of everything that goes into a functional, appealing and natural looking smile. They specialize in some of the most popular types of dentistry including dental implants, dentures, fixed bridges, veneers, crowns and even reconstructive dentistry. So, if you need a treatment that requires repairing or replacing teeth, then your general dentist will refer or recommend a prosthodontist. As you can see, there are various types of specialisations in the world of dentistry. If you have a reputable general dentist, you do not have to worry as they will recommend the right specialist for your oral problem. However, when it comes to choosing on your own dentist, you need to do your homework. Once you narrow it down to several reputable specialists in the field, ensure that you look into their credentials, how long they have been in business, what people are saying about them and even their pricing. Your oral health is important and so, it makes sense to look for the best. If you are in need of any dental treatment, be it cosmetic, implants, whitening, tooth extraction, etc. get in touch with Simply Dental Chatswood today for the best services. You can contact us on (02) 9419 5506.